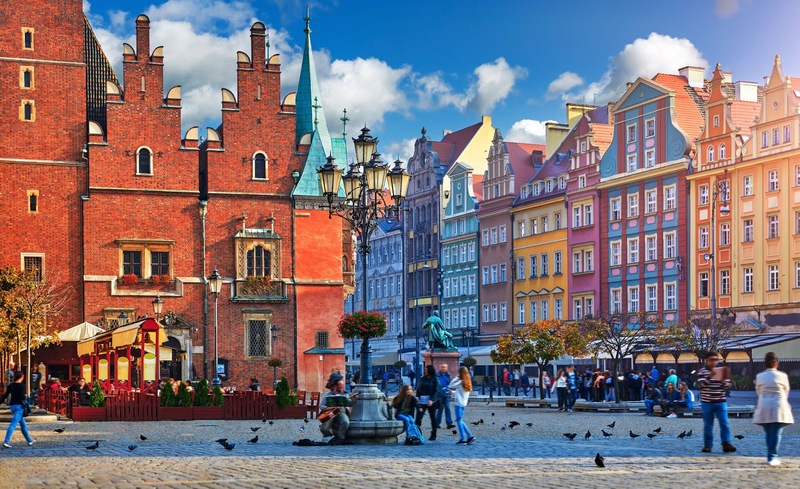 KLM Royal Dutch Airlines will expand its European route network to include the Polish city of Wrocław staring from 6th May 2019 the airline announced this week. Wrocław is Poland's fourth largest city and has a population of more than 600,000. It is a vibrant lively university city where trade and industry flourish. It has a beautiful old market square, which is lined by pastel-coloured buildings housing cafes and has a wonderfully warm friendly charm that helps make it a popular choice for visitors from around Europe wanting to visit a city that's off the beaten track. 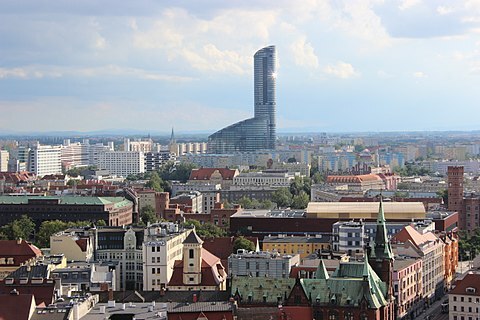 One of the key features of the city's modern architecture is the impressive Sky Tower which is in total 212 metres tall which makes it the tallest building in Poland with a vantage point at an altitude of 200 metres. The observation deck is on the 49th floor and there is a shopping centre on the lower levels which makes it an ideal place to explore both in and out of the stores. Well worth a visit is Wrocław Zoo,which is home of the Africarium, apparently this is the only oceanarium devoted solely to exhibiting the fauna of Africa, anywhere. The zoo and gardens cover an aera of around 83 acres and is one of the most visited zoos in Europe. Oh and it's not just the Bellagio in Las Vegas that has a dancing musical water fountain, nope there is one here too! The Fontanna, only operates during the summer months, so from early May to late October and it really is jolly pretty. It is located in the Wrocław exhibition ground and next door to the Centennial Hall. Apparently, it has 300 jets of water, but we didn't stop to count them and also in the wintertime, the pond is frozen and so its used as an ice rink! Wrocław will become KLM's fourth destination in Poland after Warsaw, Krakow, and Gdansk. The service will be operated with an Embraer E175 aircraft which features 88 seats spread over 20 in business class seats, an Economy Comfort zone with 8 seats, and 60 in the economy class seats. KL1271 departs Amsterdam Schiphol at 1150 in the morning and arrives at Copernicus Airport Wrocław at 1335, while the return KL1272 departs Wrocław at 1405 to land back in Schiphol at 1555 each day. "The addition of Wrocław to our network strengthens KLM's position as an important player in the central European market. Wrocław is also a new destination for Mainport Schiphol and thereby an expansion of Schiphol's network." Pieter Elbers - KLM President & CEO.